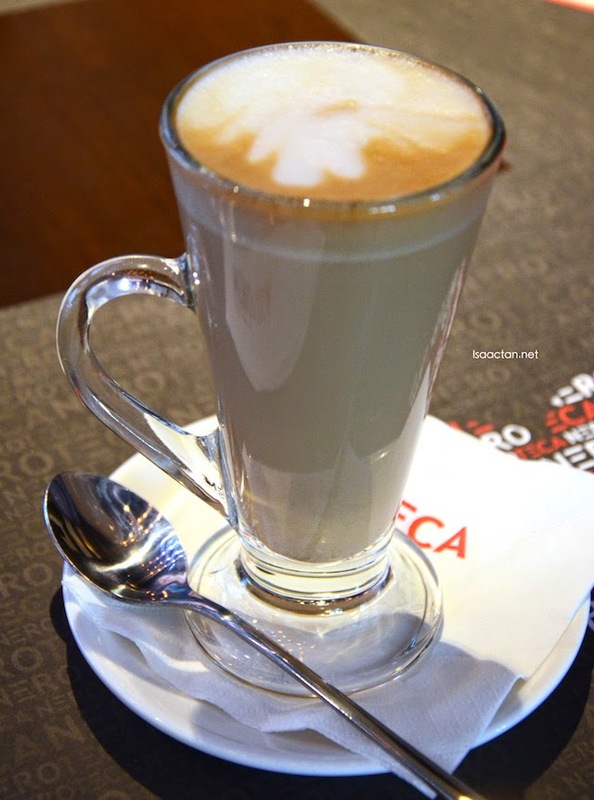 NeroTeca recently revamped their breakfast menu, with new additions available daily from 8am until 3pm. 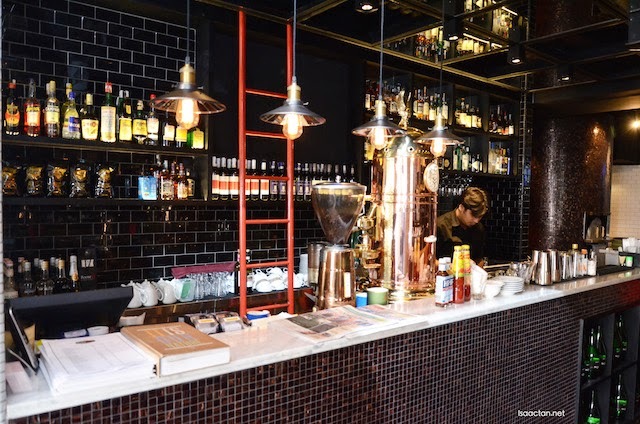 Arriving at the venue on a weekend morning, the restaurant itself exuded modern comfort, with nice tasteful interior decor. 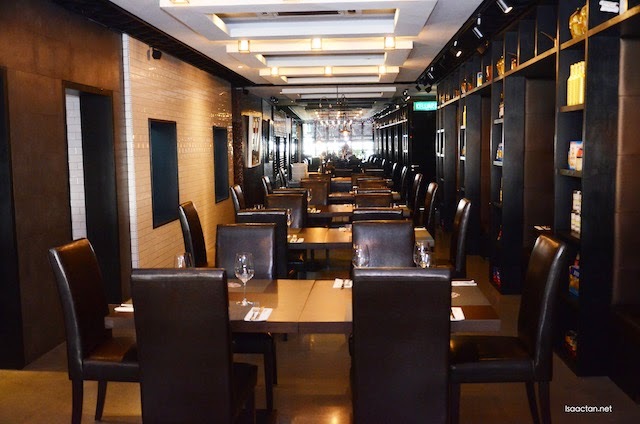 Serving Italian cuisine, it did not take long for us to dive straight into their new breakfast menu offerings. 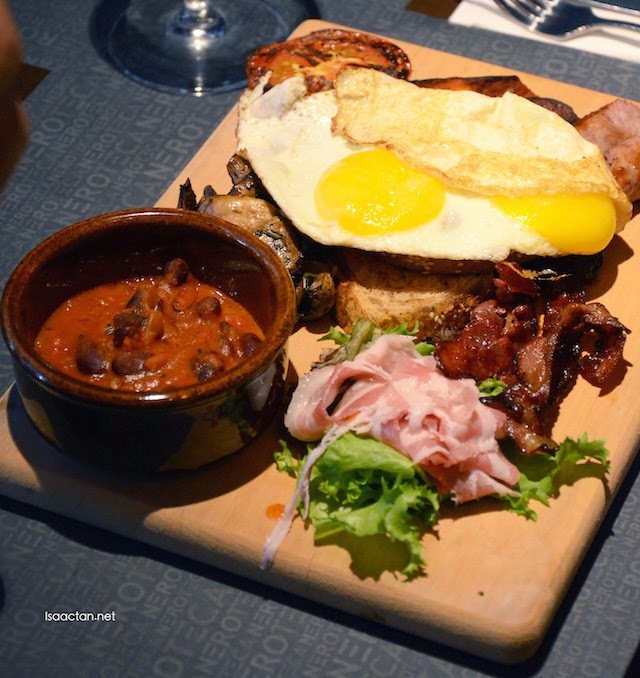 I rather huge Big Breakfast set came with refried beans in pomodoro sauce, baked tomato, sautéed sweet potatoes, mushrooms, Italian sausages, smoked pancetta, streaky bacon, house toast and two eggs prepared your way in either poached, scrambled, fried, sunny side up or over easy. I like the fact we had a choice of how our eggs are done. 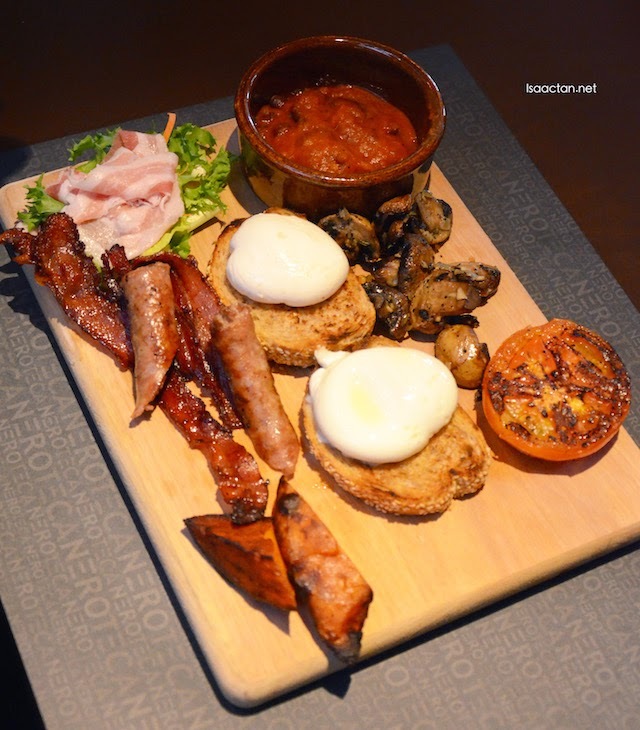 My favourite on the huge platter would be the streaky bacon which is crispy and really tasty. Good stuff to kick off a great morning! Served with homemade toast at the side, this pan baked re-fried beans and grilled bacon bits in pomodoro sauce was an interesting dish. 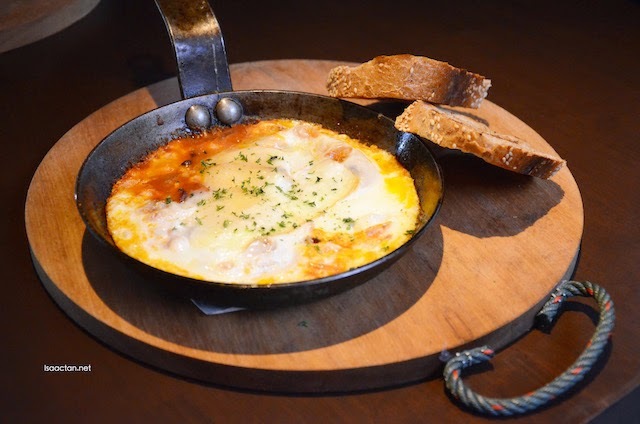 Flavourful, savoury, and rather tasty, the chef placed eggs and fontina cheese on the top layer to give the dish a nice creamy texture. One of these for breakfast may just fill you up for the rest of your day. 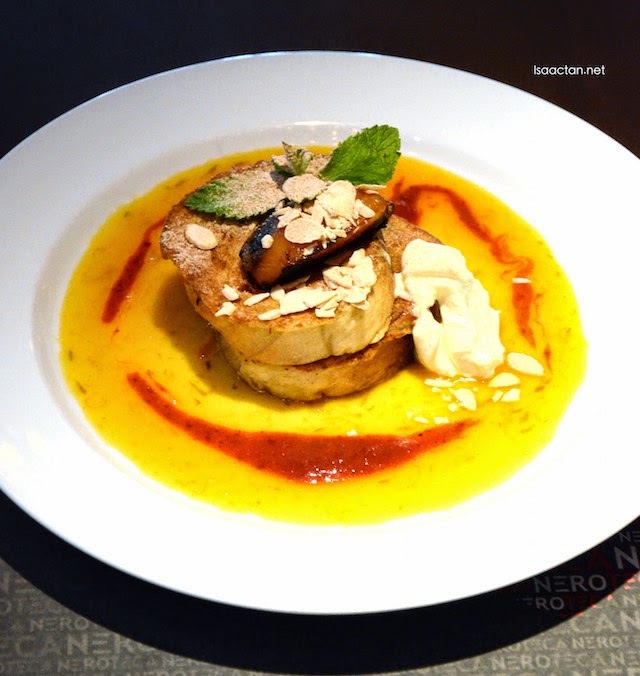 Always a fan of French Toast, I was curious how an Italian restaurant would serve it. Needless to say, it came looking real pretty and rather colourful with orange cardamom and mix berries sauce. Topped with caramelized peach, almond flakes and dusted with cinnamon sugar, this pan grilled egg toast with mascarpone cream at side really takes the french toast dessert to a whole new level. 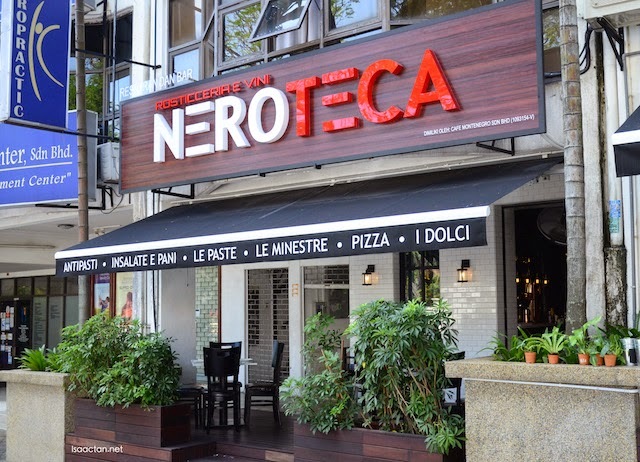 Good breakfast at NeroTeca Italian Restaurant, do try them out the next time you're in the vicinity of Plaza Damansara. Personally, I would go for their Big Breakfast Set, just to share with the partner, as portion is huge and very filling! Nice...but too expensive for the likes of me, thank you very much.